The scenic designer, Artemis Flessa had a very unique idea, the creation of a “robotic-mechanical” construction as a part of the scenic decoration for the theatrical play “Suddenly Last Summer” . A classical play written by Tennessee Williams in 1958 and directed by Georgia Mavragani for the Athen’s Festival in 2017. 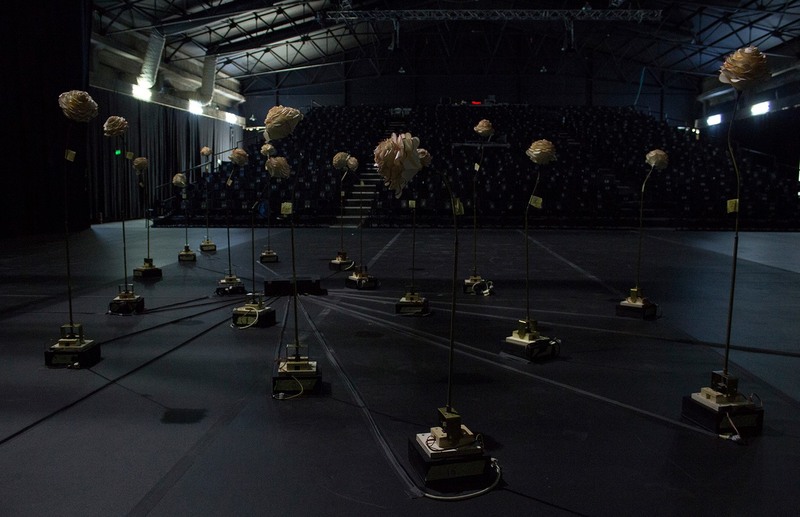 Sbastian’s garden would be consisted by 19 mechanical roses and as director’s (G.M) prerequisite it should be an organic part of the stage instead of a typical scenic decoration. The challenge was huge, the difficulties and the new fields which they had to be solved and discovered were many, failure was not an option and time was against us. many thanks go to Panos Sarafis and Stavros Vassos for their valuable contribution in the stages of assembly and analysis & coding respectively.